Navigating the complexities of the legal system in New Jersey requires a great deal of knowledge and finesse. As a client, it is often difficult to find an attorney who you can truly trust and put your faith in. At the Tormey Law Firm, we pride ourselves on developing dynamic relationships with our clients. It is our priority to ensure that you feel confident in our diligent work on your behalf as we fight for the best possible outcome in your case. We are here to educate you throughout the criminal justice process, answering any and all of your questions and making you feel at ease during these stressful times. We are also passionate about fighting for our clients, finding holes in the State’s case, and ultimately, prevailing in court. When appropriate we will negotiate a plea on your behalf, but never without a comprehensive review of all of your options and a team decision that we all agree is serving your best interests. Our experienced criminal defense attorneys are committed to providing you with all of the information and resources at our disposal, communicating the potential penalties that you face, employing our best strategies for combating these charges, and ultimately, ensuring that you achieve the most favorable outcome. Overall, it is our dedication to our clients that distinguishes us as a truly exceptional team of attorneys. 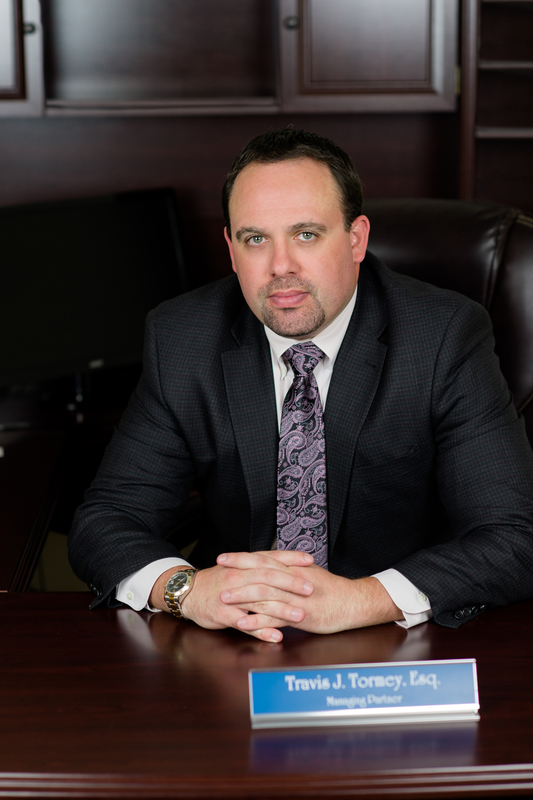 Travis J. Tormey is a highly experienced DWI and criminal defense trial lawyer who has represented thousands of clients throughout New Jersey, achieving victories in countless cases across the state. He represents clients charged with criminal and traffic offenses ranging from third offense DWI to assault, robbery, and credit card fraud. Through his time practicing as a criminal defense lawyer in New Jersey, Travis has developed a breadth of knowledge regarding New Jersey law which he has utilized to develop an arsenal of defense strategies specifically geared toward the charges his clients may be facing. Having accumulated this extensive experience attacking the State’s case, his reputation proceeds him with prosecutors statewide, which will serve as a significant advantage as we collectively address the allegations against you. He has also been called upon as a respected legal resource for a host of prominent publications and media outlets, including AOL News, The Daily Record in Morris County, The Bergen Record, The Asbury Park Press, and CBS Radio. With offices in Bergen County, Morris County, Essex County, Monmouth County, and Camden County, Travis and his seasoned team of criminal defense lawyers represent clients throughout New Jersey, working tirelessly to ensure that each client receives the comprehensive defense they deserve. To speak with an experienced New Jersey criminal defense attorney, contact The Tormey Law Firm at (201)-556-1570 for a free consultation.